Don’t let the Indian Summer fool you. We may be experiencing some rather unseasonal warm sunny weather, but summer is almost over, which means it’ll soon be time to switch the central heating back on again. After months of inactivity it’s not uncommon for boilers to develop issues, which can leave many households out of pocket. According to a report by uSwitch, last winter more than one in five households experienced bother with their boiler, leaving families out of pocket by more than £300 on average. Price comparison website uSwitch also revealed that around six in ten households don’t have insurance on their boiler, and that it’s only after facing large bills from broken down boilers that people think about getting their boiler covered. Unfortunately more often than not, boilers break down without warning. But there are a few signs worth watching out for, from strange banging noises to radiators not getting particularly hot. But tell-tale signs aside, we all know that prevention is the best possible cure. And there are various measures you can put in place to try and minimize the chances of your boiler breaking down this coming winter. 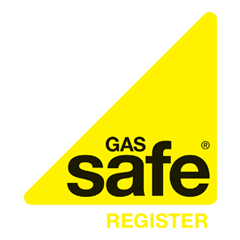 Get your boiler serviced every year by a Gas Safe Register engineer. If your boiler isn’t serviced regularly it will produce less heat from the gas it consumes. Which means your boiler will end up costing you more to run due to its inefficiency. Servicing your boiler will also help reduce the chance of a fatal carbon monoxide leak. Carbon monoxide is a silent killer, so invest in a CO detector for your home. If you can afford to, consider replacing your old conventional boiler with a new boiler. High-efficiencycondensing boilers could save you around a third on your annual heating bills. Take out cover for your boiler. Shop around for the best deal. And make sure you read the small print, so you know exactly what is – and what isn’t – covered. For example, many policies will not cover frozen condensate pipes.